Christmas music is already playing in Kampala shops. While I think it’s a little early, who am I to fight the holiday spirit? 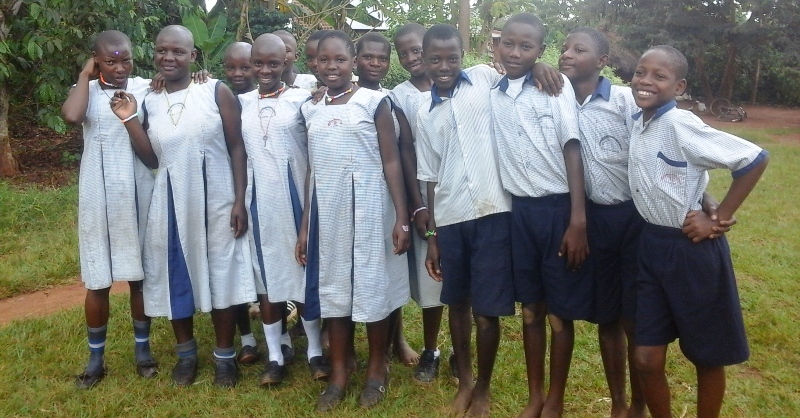 If you are an online shopper, you can help provide high school scholarships to high-performing P7 graduates of Grace Primary School, Nakifuma, Uganda, at no actual cost to you. The Real Uganda has arranged relationships with select merchants that pay commissions when we refer shoppers to them. I know some of you have spent time with those kids. You know their situation. You understand that after leaving Grace Primary, their formal education is likely over. The cycle of poverty and poor skills development continues. Here’s how you help change that. and they send us 4% of what you spent. Now, who doesn’t shop with Amazon? Have you heard of Travel Nuts? 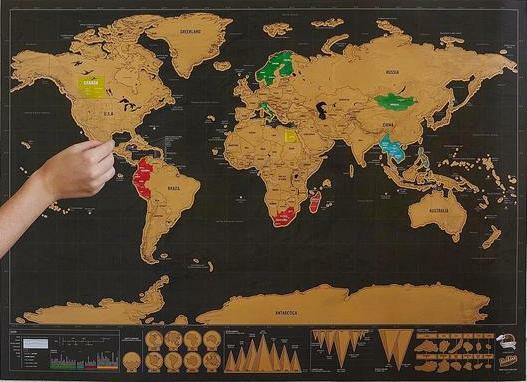 They’re the scratch-off world map guys. They also sell high quality travel accessories, with free shipping to Canada, US, Australia and Europe. We earn a 20% commission when you purchase from the above link. A newer partnership is with New Chic. Terrible name, but I love their stuff. Since they ship to Uganda, I’m their new poster child. Their shoes and dresses are RAD and very affordable. I mean, check out these boots! From these funds, The Real Uganda provides all tuition, school supplies, and uniform for our scholars, as long as they earn a passing grade on all classes. The student’s family contributes a school bag and shoes, to ensure they stay involved in their child’s education. It really is that easy to provide scholarships to hard working Ugandan school students.